Deferral, and potentially reduction of, capital gains taxes from the sale or exchange of capital assets, whether that asset consists of publicly traded stocks or a real estate portfolio or ANY capital asset. Tax-free appreciation of your Qualified Opportunity Fund (“QOF”) investment if it is held for at least 10 years. Opportunities to invest in, and therefore assist, lower-income areas. It truly allows investors to “do good, while doing well”. The third point from above is the crux of the OZP. Not all communities or individuals share the economic good fortune of this country, and the chasm between the “haves” and the “have nots” continues to widen. The OZP aims to narrow that gap by providing real tax benefits to taxpayers investing capital gains into distressed areas. 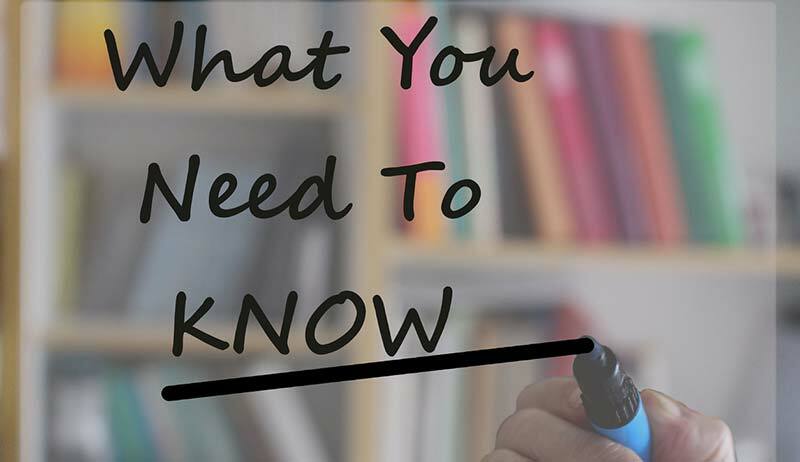 There is a substantial amount of information to consider when it comes to your potential OZP investment. Only the investment of your capital gains from any capital asset sale (or exchange) will be eligible for the benefits of the program. Assume that a few years ago an investor acquired stock for $1 million. 5 years go by and he or she sells that stock for $2 million. The only part of the proceeds eligible for OZP benefits is the $1 million of capital gains, not the full $2 million. Realized capital gains must be reinvested into the program within 180 days from the closing of the sale or exchange. If a stock is sold on January 1st, you have until June 30 to reinvest the gains. The asset must be sold to an unrelated third party. The capital gains must be reinvested in a Qualified Opportunity Fund (“QOF”). Although not mandatory, to maximize the benefits of this program, the QOF investment should be made at least seven years prior to December 31, 2026 (which is on or before December 31, 2019) and held for a minimum of 10 years. December. 31, 2026 is known as the Phantom Gain Date. It is important to remember that one benefit of the OZP is tax deferment. That Phantom Gain Date is when the taxes on your deferred capital gains need to be paid regardless if they are still invested in a QOF. To invest in this program, investors must place your capital gains into a QOF. 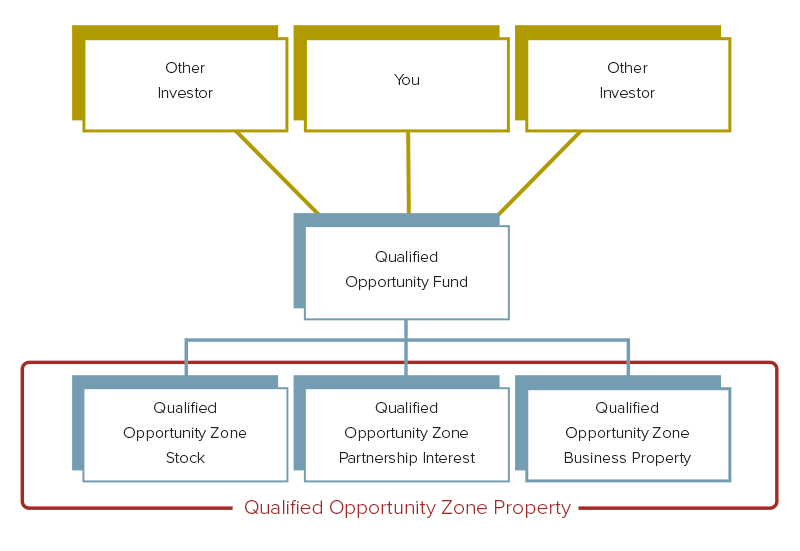 That QOF pools the capital and invests in Qualified Opportunity Zone Property (“QOZP”). The Opportunity Zones Program can provide you with some terrific benefits. However, putting your capital gains into a QOF is similar to putting your money in other investments. There is risk involved – each fund is only as safe as its underlying investment(s). A real estate failure, for example, is a real estate failure. It does not matter whether it is in a wealthy suburban area or a Qualified Opportunity Zone. If you place your investment and the underlying entity fails, your loss of capital is the same in both scenarios. As with any other investment, ensure you weigh the risks and rewards. Know the QOF manager’s/sponsor’s track record and reputation. This is the single most important consideration when it comes to your investment decision because you will be relying on the manager to profitability and responsibly invest your capital. Know the track record of the developer and/or operator in which the QOF will invest. If this information is known at the time you are contemplating your investment in the QOF, do your research. The investment horizon is long in order to fully maximize the benefits (10 years minimum). It is hard to predict all of the investment decisions the QOF will make years into the future. That is why point number 1 is so essential. Be sure the QOF sponsor follows IRS guidance and regulations. More guidance is expected to be released in the summer of 2018, with regulations due by year-end 2018 or early 2019. Keep in mind, the program is still new, your fund’s sponsor should be conservative in interpreting the OZP statute when there is uncertainty. How will you get out? It is always a good idea to understand how to exit. Again, it is hard to see clearly into the future. There may be circumstances, regardless of the fact that you may miss out on tax savings, when you need to exit the QOF. It is a good idea to know your rights and options in this respect. Although the OZP program appears fairly straightforward thus far, unforeseen hazards or regulations could pop up preventing investors from receiving some or all of the promised benefits of the OZP. To protect your capital (gains), do your research when considering a QOF investment. And, as that famous Latin phrase notes, caveat emptor. Buyer beware.